Image is for display purposes only. 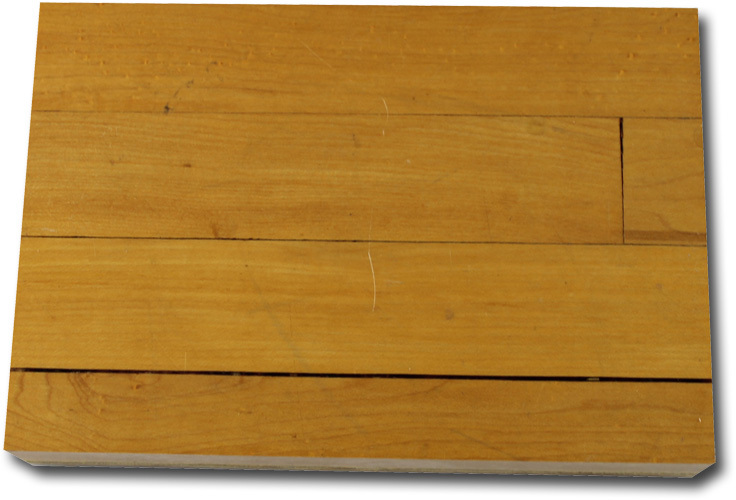 Floor Piece Size: Approximately 5" x 8"
This piece of basketball hardwood is from the actual court used during the first twenty years of the Summit. This floor has withstood the pounding of 2 Back-to-back World Basketball Champions, hosted 3 Southwest Conference Championships, NCAA Regional Finals and many other Classic Matchups. This piece of Houston history will be indelibly etched in the hearts of all of those who witnessed the incredible action during the first 20 years of the Summit, 1975-1995. "Our Court of Dreams Lives On"